I am experiencing my first year as a post collegiate athlete. I will start my journey to RIO at the end of the month in Canada; competing in the 60mh and 60m. After that I will be traveling in Paris and locally to prepare for indoor worlds. Unfinished Business. That is the name of the game for Bridgette Owens. In 2015, Bridgette's first year pro, she missed the final at the USA Championships by 2 spots, making her thirstier than ever to step atop the podium. Detroit, MI born and raised, Bridgette had a nationally dominant high school career at Southfield Senior High, where she would take runner-up honors at both the 2010 Nike Indoor and New Balance meets, and brought home gold at the 2009 IAAF World Youth Championships in the 100m hurdles. 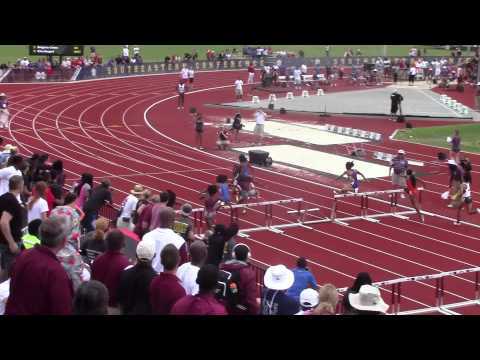 She would then go on to Clemson University and rewrite their record books, setting a Tiger school record for the 100 meter hurdles (12.71 seconds), and the school's second best mark ever in the 60 meter hurdles (7.95 seconds). After two years with the Tigers, she would make a move for Gainesville to join the Gators of the University of Florida, where she would go on to set the school record in the 60 meter hurdles. Now training at Altis in Phoenix, Brigette is focused for primetime, saying, "I am training with world class athletes; surrounding myself with greatness and positivity!" The road has not been easy for Bridgette, as she lost her father while in college and now sees her grandmother fighting cancer while struggling with alcohol abuse. She stays positive through it all, having the track as a place where she can escape and make great things happen by staying motivated, even through the hardships.